Air carriers are showing an increasing interest in the Greek market this year, according to data on the demand for flight slots in Greek airports. The data was released by the European Organization for the safety of air navigation (Eurocontrol) and the Civil Aviation Authority. The data revealed that the Greek island of Skiathos, located in the Sporades group, has received a record in requests. 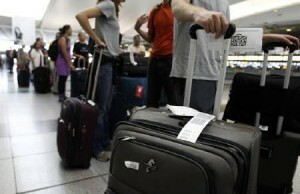 The demand to obtain slots to perform flights in the destination’s airport this year has risen by 350 percent. Such is the case for many of Greece’s popular travel spots. The demand for flight slots is up 40 percent for Mykonos, 30 percent for Santorini, 28 percent for Rhodes, 26 percent for Kefalonia, 25 percent for Heraklion (Crete) and 14 percent for Chania (Crete). Greek and foreign airline companies have been expanding services in the country as international arrivals are expected to mark an important rise this year. According to data from Athens Airport for the January-April 2014 period, the demand for travel to Greece this year is on the up compared to previous years. The latest announcements in regards new routes to/from the Greek capital include the following connections: Athens-Shanghai, Athens-New York, Athens-Philadelphia, Athens-Bahrain and Athens-Split. In addition, Greek carrier Aegean Airlines has announced that it will fly to 14 new destinations from Athens International Airport this summer, Etihad Airways announced it will boost frequency and capacity to the Greek capital and Emirates announced it will launch a second daily service onto its Athens-Dubai route to cater to strong demand.